So, the kids ended up not doing their projects that I had planned. We didn’t have much time and when we did they didn’t want to do it. So, they’ll wait till next year. I did get one project for myself done. I got the idea from this post, but changed it up to suit my taste. Once you tape off your canvas, start painting. 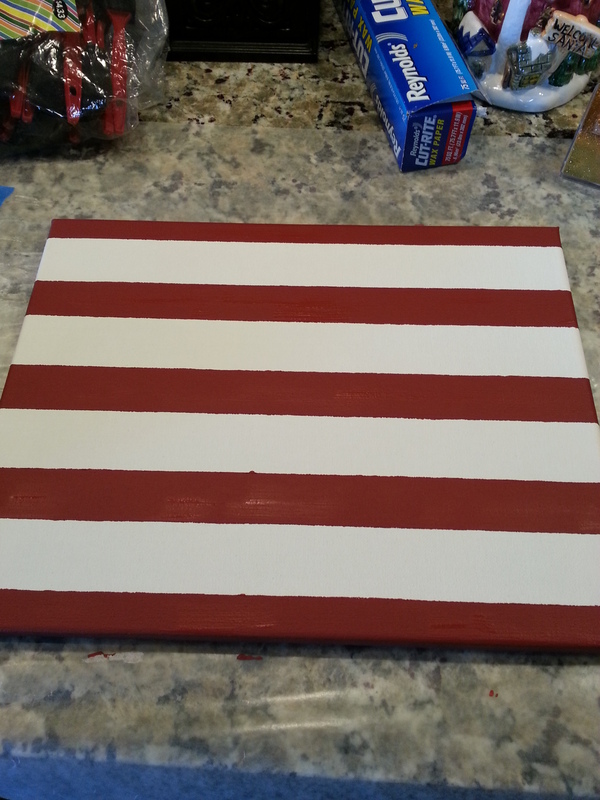 This took about 3 coats of paint. I used a deep red that was real streaky so I just kept doing another coat until it came out solid like I liked it. 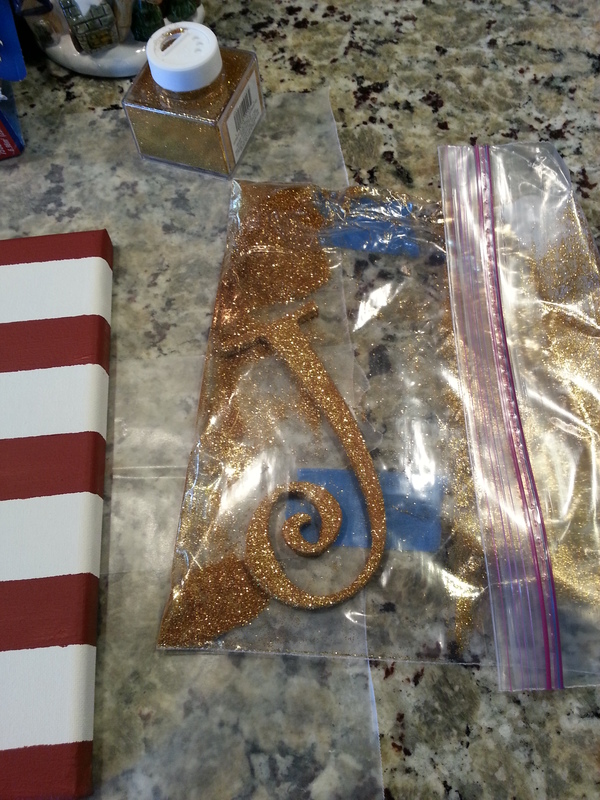 Then while that is drying I put glue on the front and sides of the letters and threw them in large ziplock bag filled with glitter and shook them up. 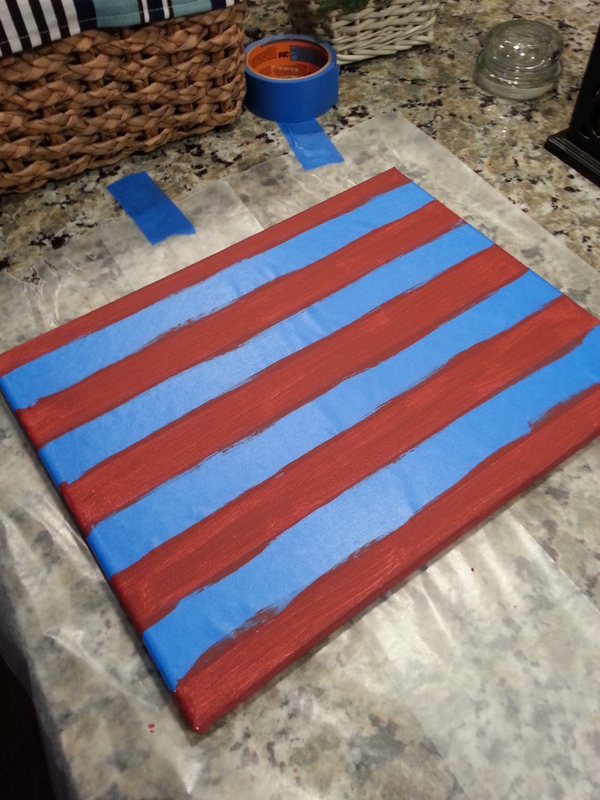 After they were covered I gently shook them in the bag to get rid of the excess glitter then laid them on wax paper till I was ready to glue them to the canvas board. 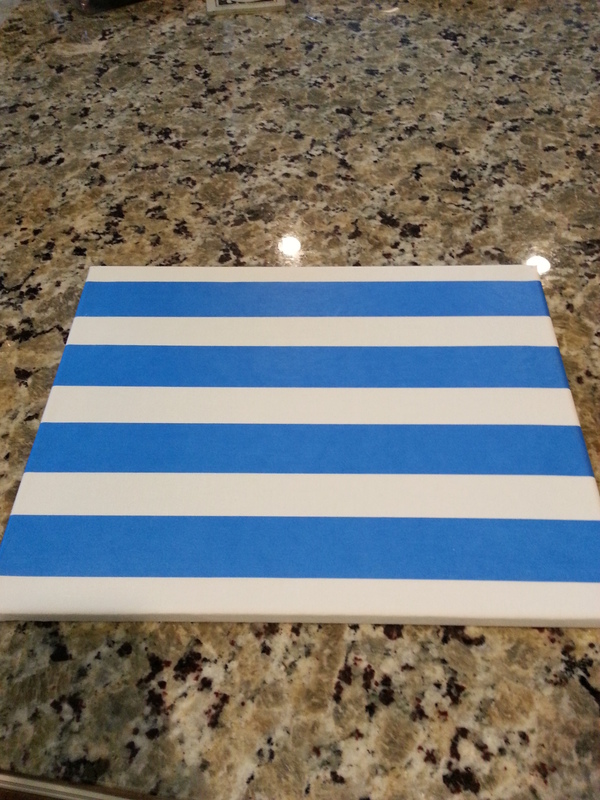 Once my canvas was painted the way I liked I let the paint dry and then removed the tape. I laid out my letters to see where I wanted to place them and then hot glued them onto the canvas. Once they were glued down I took the whole thing outside and sprayed a real good thick coat of clear enamel spray all over the whole thing. It ended up looking really good, but I wanted it to sit on our mantle and I guess I didn’t take into consideration how big our mantle is so the final product looks dwarfed on there. 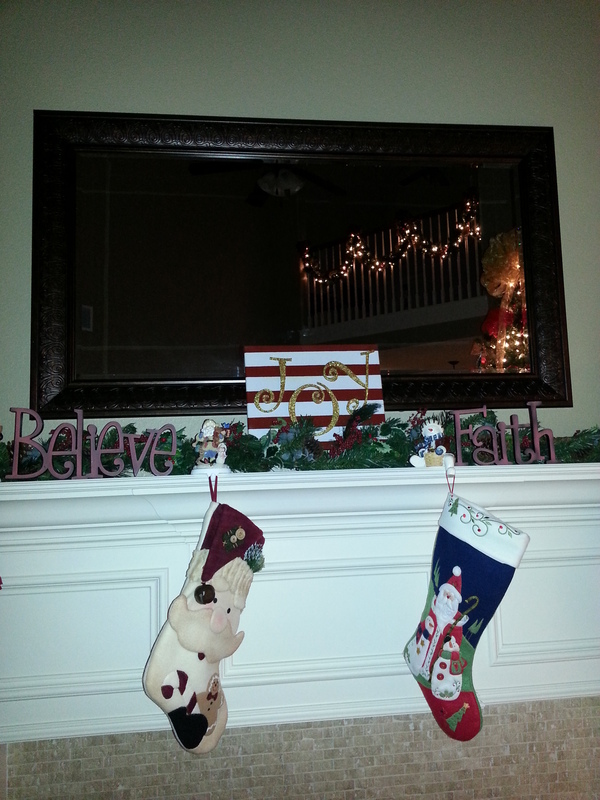 I may move it somewhere else and do something bigger for the mantle next year. 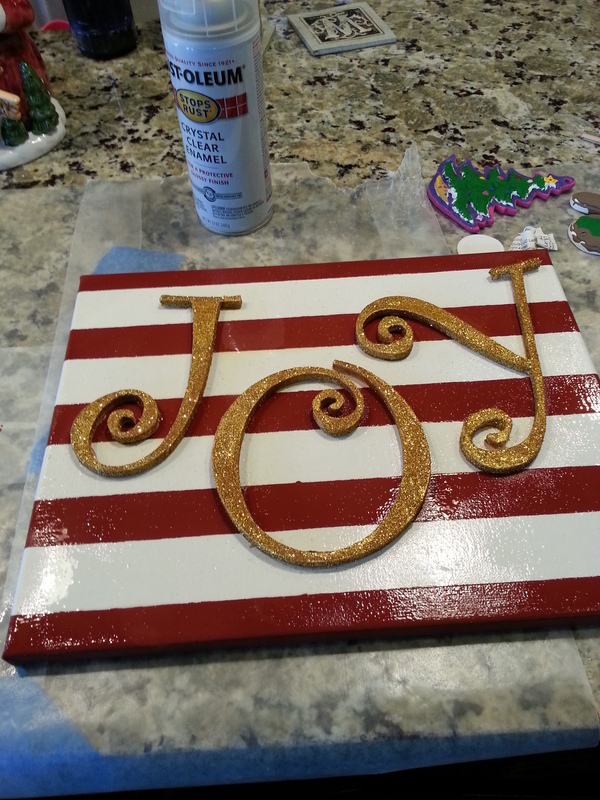 But, overall, this was a super easy project and turned out so cute. It would be great for gifts too. 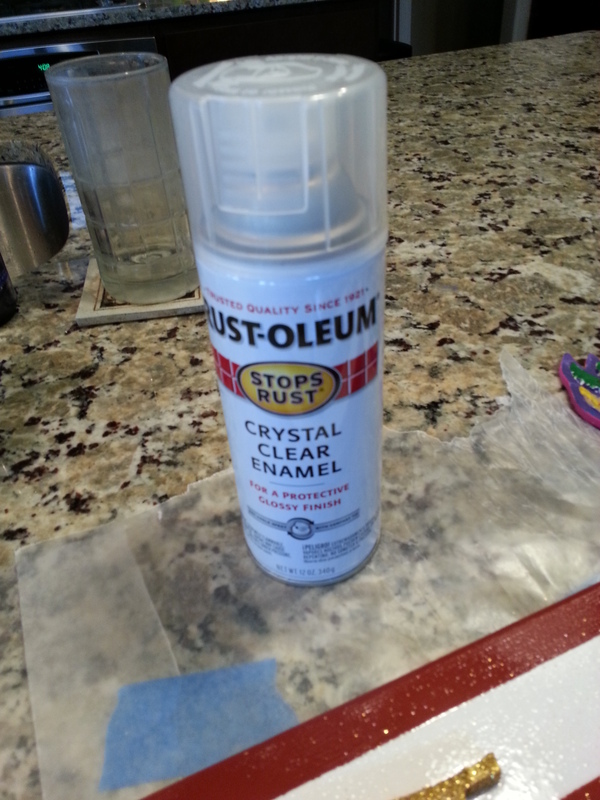 Spray the whole thing with clear enamel spray to hold all the glitter on and keep it glossy. 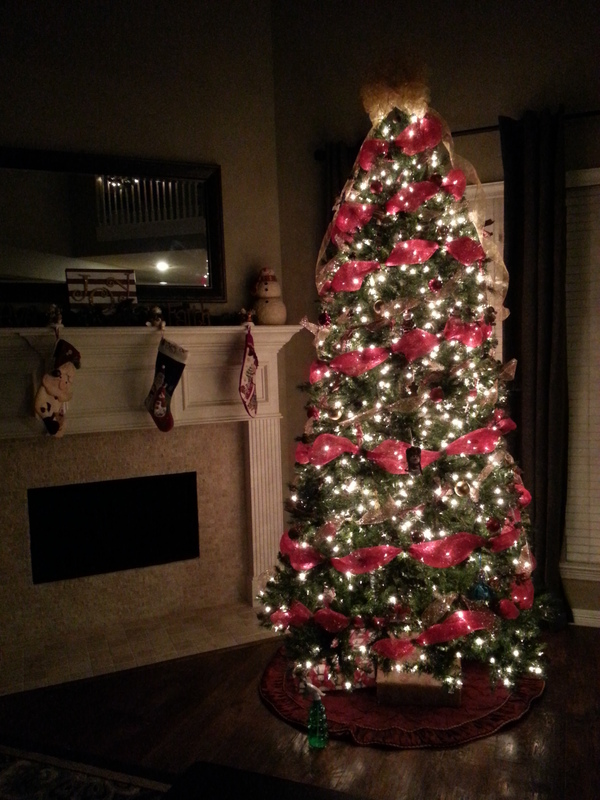 I might do this again and make it bigger next year since it seems so dwarfed on our mantle. 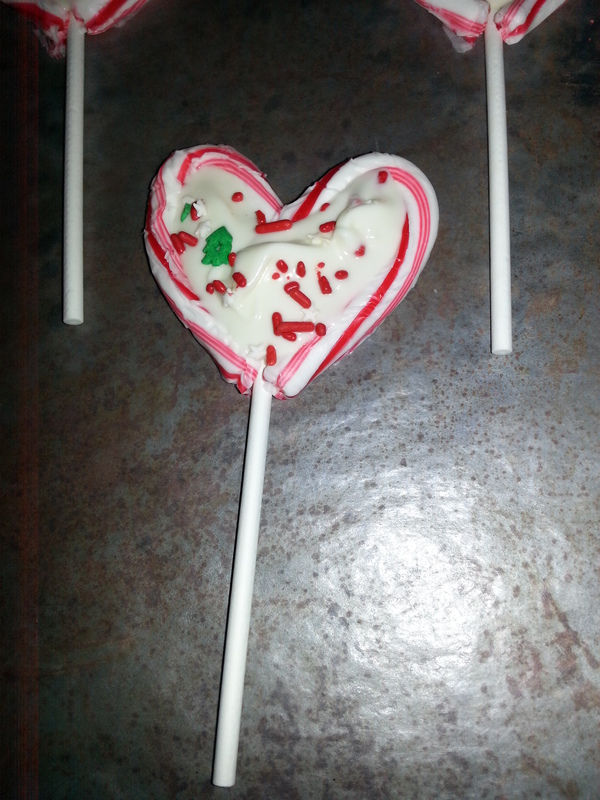 I tried this Pinterest find and while Alex said these were soooo good, they were not easy to make. I really ended up with only about 7 or 8 that were decent to keep. I had planned to give these as gifts to the kids in Alex and Levi’s classes, but ended up wrapping up some Christmas Hershey kisses instead for a quick gift. 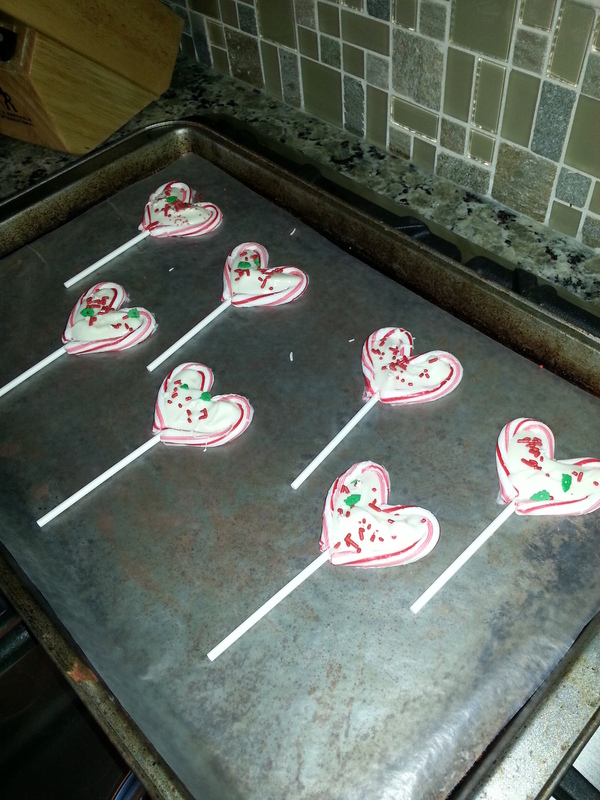 Where I had an issue was with our oven being too hot and even after adjusting them the candy cane’s melted too much. It also took forever for these to cool so I threw them in the fridge which seemed to work well, but pulling them up from the wax paper made some of them break even though I was very careful. 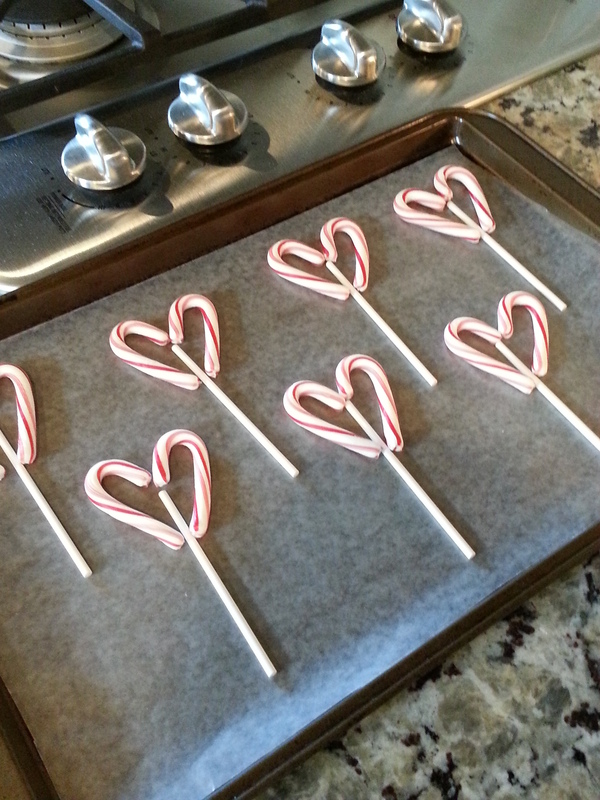 Lay out candy cane halves and lollipop sticks on wax paper in a cookie sheet. After they came out of the oven with the white chocolate spooned inside. This was the first batch before the oven got too hot and they were really the only ones that came out ok.